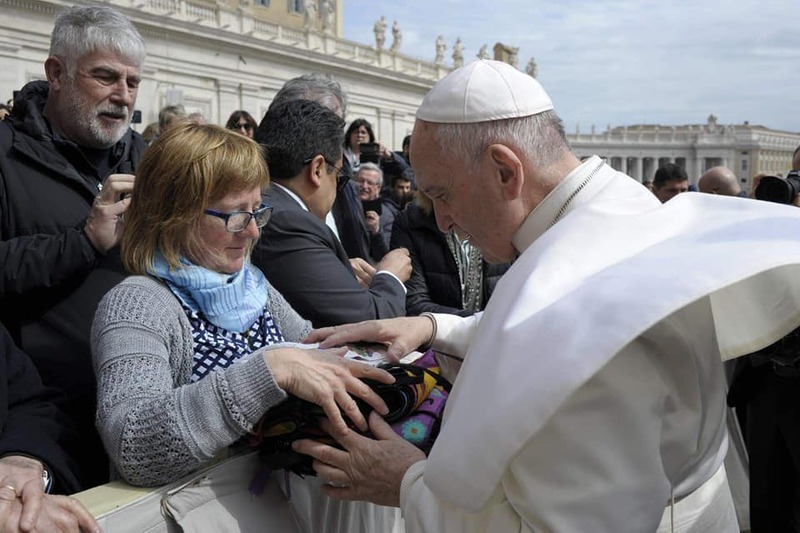 Pope Francis blesses ribbons and flags that make up part of a Comox Valley overdose memorial put together by Judith Conway, who is holding the bundle. Photo courtesy of Judith Conway. 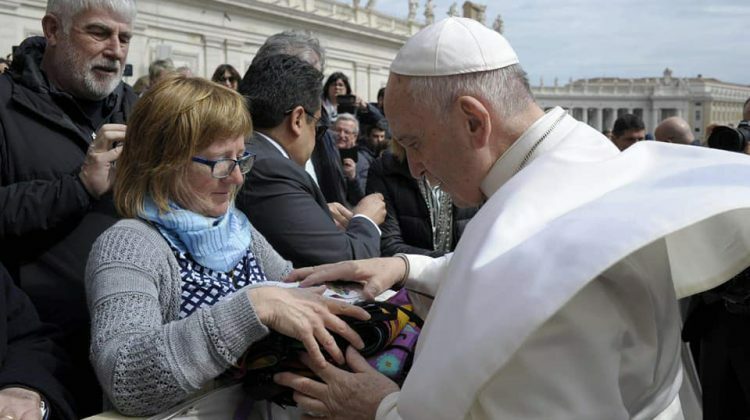 COURTENAY, BC- A Comox mother who launched an overdose memorial after the death of her son has had her efforts blessed by the Pope. Judith Conway’ son Matthew died from a fentanyl overdose on Nov. 5, 2017. A crossfit trainer and gym manager, Matthew was living in Port Coquitlam at the time of his overdose. Matthew was 30 and left behind his mom, dad, and brother. To memorialize her son and others, Judith attached 100 flags to her fence in Comox. The flags are adorned with the names of people who died from drug overdoses in the Comox Valley and across B.C. The ribbons and flags that make up the memorial has now been blessed by the Pope. On a trip to Italy, she received a blessing at the Vatican. “We had special seating right beside the Pope,” said Conway. She wants to make sure people in the Valley talk about overdoses. She recently approached Courtenay council about moving the memorial over to the fencing by the playground in the Courtenay Airpark. “I just want more people to see it and to add more information to it,” said Conway. “It’s surprising the amount of parents and loved ones that still don’t talk about it, and don’t tell people how their child died,” said Conway. The memorial will be moved to the Airpark site in May, with the exact date yet to be determined.